FURIOUS? Can We Get Furious-er? Comics Chad here with fantastic news for anyone else who loves a tragic hero story! 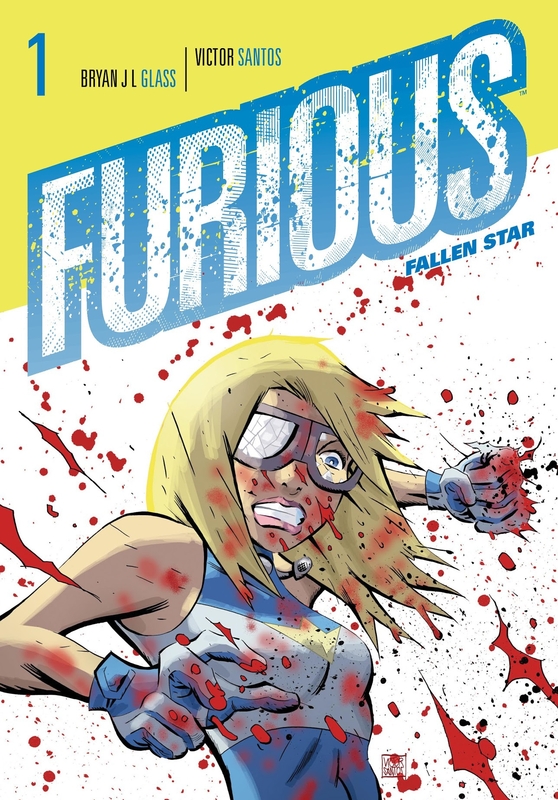 Furious is the story of Cadence 'Cady" Lark, a superhero inspired the unfortunate circumstances surrounding young starlets (the astute amongst you may recognize the many nods to Lindsay Lohan). Furious was a joint creation by Bryan J.L. Glass and Victor Santos who had previously worked together on The Mice Templar, a comic that seems to consistently end up on lists as a masterpiece but that never really resonated with me. Unfortunately, Furious only had a short run, with an introduction story in Dark Horse Presents #31 and a 5-issue run in 2014 that was never renewed. Our initial taste of Furious was enough to explain Cady’s backstory, introduce an enemy, make a timely point about media portrayal and leave me wanting more. Thankfully it looks like 2018 is the year for Furious, with writer Bryan J.L. Glass partnering with indie publisher Crazy Monkey Ink to expand the series. Details are sparse, at this time it looks like Glass will remain as writer and Samir Simao will take over as artist. Simao hasn't broken into mainstream comics art yet but his style is visually appealing. Crazy Monkey Ink will be heading to Kickstarter in July to raise funds for the release. Is anyone else as excited for this as I am or is this comic criminally unknown?